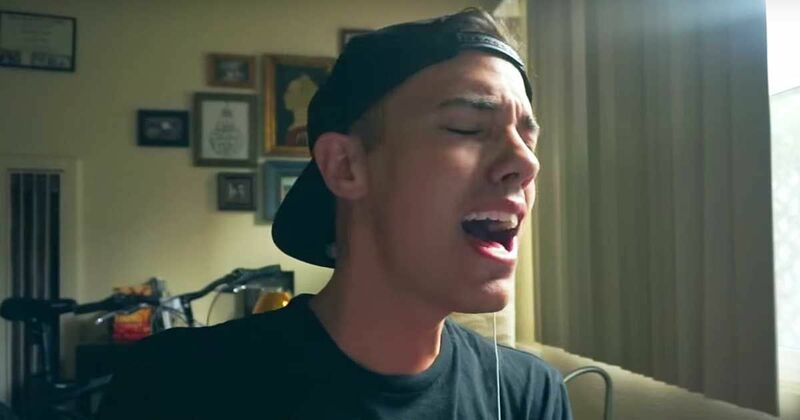 Leroy Sanchez has the kind of vocal range that is unequivocally impressive, especially when one learns that he was entirely self-taught. The bio on his website reads, "As a child growing up in Vitoria, Spain, he taught himself to play guitar and developed his voice entirely by ear." It goes on to explain that he uploaded his first cover song to YouTube when he was just 15 years old - this was back in 2007 - and his cover videos have now surpassed a collective 167 million views. Once you hear his impressive powerhouse range, it's not hard to understand why he's amassed such popularity. In the video below, Sanchez perform's Sia's 'Elastic Heart.' The track was featured in 'The Hunger Games: Catching Fire,' and served as a sort of power anthem for the movie. Sia is known for writing tracks that are challenging, to say the least, and she has written hits for superstars like Beyoncé, Britney Spears, and Maroon 5. A veteran of songwriting in the industry, she doesn't produce tracks that are easy to sing masterfully. Sanchez, however, makes it look like a breeze. Take a listen to Sanchez's rendition below and be sure to let us know in the comments which version is your favorite!